The effervescent nature of sparkling water makes for a refreshing beverage and a healthier alternative to sugary soda. In fact, it's so reminiscent of soda (thanks to the carbonation) that you might wonder if there are any detrimental side effects. Here we outline the differences in the types of carbonated water, the potential impacts on your health and how to enjoy carbonated water in a healthy way. So, what is carbonated water exactly? Technically it’s any water with carbon dioxide which, gives the water “bubbles.” There are a few different monikers for carbonated water that, right or wrong, are used interchangeably—club soda, seltzer, sparkling mineral water—but there are small differentiating nuances to note. 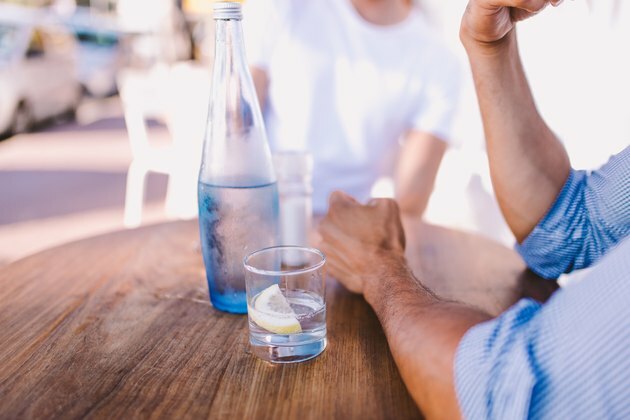 There’s a lot of confusion and misinformation out there when it comes to carbonated water and its potential effects, good or bad, on our bodies. Here we’re setting the record straight on various myths and the science-based truths. The theory is that phosphate, which is used to enhance flavor in some carbonated drinks limits calcium absorption, therefore resulting in calcium loss in the bone. But the truth is, there’s no conclusive evidence that all carbonated drinks are linked to a lower bone density; only cola drinks have been connected to low bone mineral density. In a 2006 study, researchers found cola consumption was associated with a significant decrease in bone mineral density (in the hips, not the spine) in women, but not men. Similar results were seen with diet cola drinkers but less with those who drank decaffeinated cola. Interestingly, non-cola carbonated drinks (seltzer water, cola-free soda, etc.) did not show any sort of association with bone density. Digging even further, a 2005 study published in the British Journal of Nutrition looked at the impact non-carbonated mineral water versus carbonated mineral water had on the bone density of post-menopausal women. After an 8-week intervention, no difference in bone density was seen between the two groups. A recent paper published in The Journal of the American Dental Association confirmed that beverages with a pH less than four are “potentially damaging to the dentition” and included an exhaustive list of commercial beverages—carbonated soda, fruit juices, flavored waters, teas, and energy drinks—and their pH levels. Of the 379 products they reviewed, 93 percent had a pH less than four. The two carbonated waters on the list—San Pellegrino Sparkling Natural Mineral Water (pH 4.96, unflavored) and Perrier Carbonated Mineral Water (pH, 5.25) and Canada Dry Club Soda (pH 5.24, unflavored)—all had pH levels over four. Interestingly though, in most cases, when fruit flavors were added to regular water, the pH dropped into the erosive or highly erosive categories. This is because different acids are added to achieve the fruity flavors. Conversely, in a 2012 study, researchers conducted parallel experiments—one on male rats and one on young men. In the animal study, drinking carbonated beverages led to faster weight gain after consumption for a year compared to those who consumed degassed beverages. The human study found increased ghrelin levels after drinking carbonated beverages compared to the control. In 2018, Circulation, a journal of the American Heart Association, put out a report recommending consumers move away from sugary sodas and other beverages and to replace them with water—plain, carbonated, and unsweetened flavored. If you’re going to go the carbonated water route, look for those that don’t have added sweeteners or if they do, look for beverages with minimal amounts like in the case of Spindrift. 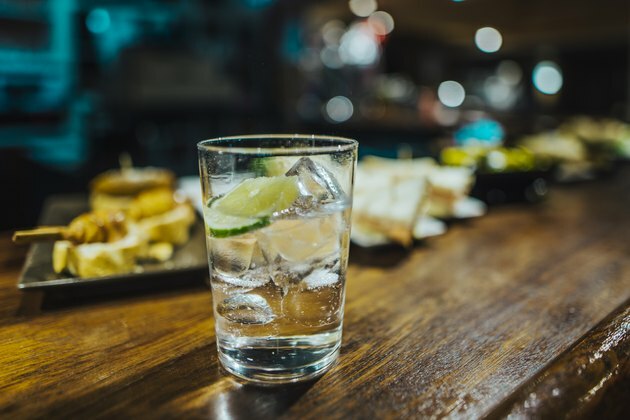 Tonic water is often found alongside other carbonated beverages but keep in mind that while it’s a type of carbonated water, it has a lot of added sugars. Remember that flavored types often mean added acids, which can wear away at the enamel on your teeth. A better option is to go for plain carbonated water and add your own natural flavorings (think spa waters)—lemon, lime, other fresh fruits, fresh herbs, etc.